It didn’t take long for the California bail industry to launch its own attack Wednesday on the state's historic new bail reform law passed Tuesday. When Gov. Jerry Brown signed SB10, California became the first state to eliminate cash bail. But no more than 24 hours later, bail bondsmen groups filed a referendum to scrap the new law. 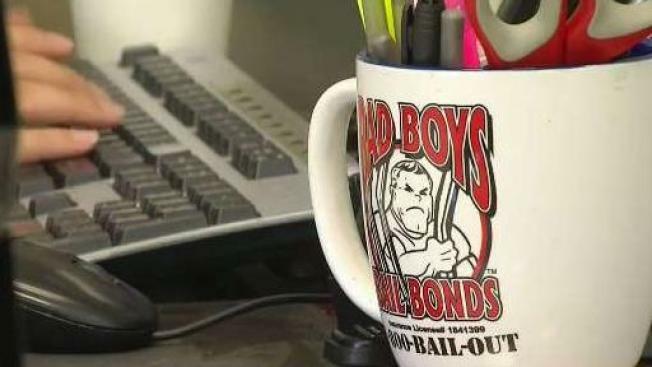 With the new law, the South Bay’s biggest bail business, Bad Boys Bail Bonds, would be facing extinction when the law goes into effect in October 2019. The referendum gives Bad Boys and the entire bail industry hope to keep their signs up and their doors open. Clients, on the other hand, had mixed reactions. A woman named Adrienne was on her way to court Wednesday, facing a felony charge for a nonviolent crime. She would be freed without bail under SB10, which eliminates cash bail in lieu of a risk-based system to decide who gets released from jail and who doesn’t. Supporters of the new law say the bail system is unfair to low-income groups. Adrienne agrees, saying her bail deposit cost $2,300 that would have gone for basic living expenses. "I had to go to use money for my rent and my living situation," she said. "I was barely climbing up to get to ... And now I’m like, bam, back down because I had to bail." Opponents say SB10 could kill the bail industry in California, which is made up of about 120 agencies and around 2,200 agents. On Wednesday, a coalition led by bail businesses launched a voter referendum to block the new law. "I know that we were contacted by crime victims organizations and civil rights organizations, so I knew something was going to happen," said Jeff Stanley, owner of Bad Boys Bail Bonds. Stanley agreed with fellow critics who said the new law also would free more criminals to return to crime or disappear before their court dates. "Something this large, the people need to make a decision on this," Stanley said. "This needs to be in the people’s hands, not our legislators." Referendum supporters have about three months to collect almost 370,000 signatures to put it on the November 2020 ballot and put the new law on hold.